-A physiotherapist or physical therapist is a health care professional who specialises in maximising human movement,function and potential. What is physiotherapist work for? -A physiotherapist may work with someone after injury,accident or surgery, so that patinet regain their independence and return to work faster, or may work to prevenr injury for instance with sporting clubs or overuse syndrome in the workplace , such as neck pain or low back pain. i) Physical assessment: assessment on physical joint and muscular system's mobility, joint alignment. From the assessment, Physiotherapist develops a clear plan of action for its future management, and estimation of number and frequency of treatments needed and outline actiivities for home and work to help your problem. Relief can be dramatic and long lasting. ii) Manual therapy : hands on treatment e.g. soft tissue manipulation,joint mobilisation , spinal manipulation. iii) Electrotherapy to reduce pain and inflammation; e.g. interferential currect, low frequency current, ultrasound therapy, spinal traction. iv) Exercise therapy ; stretching and strengthening exercises , core muscle stability exercises. v) Education; advice on suitable exercises, foot wear and posture care. What can patient expect from physiotherapy treatment? -After physiotherapy treatment you should have less pain,feel more mobile,flexible and comfortable in your movements. -Sometimes, there mayeb some mild treatment soreness because physiotherapists may mobilise the stiff joint and moblilisation may stretch on the tight soft tissue, e.g. 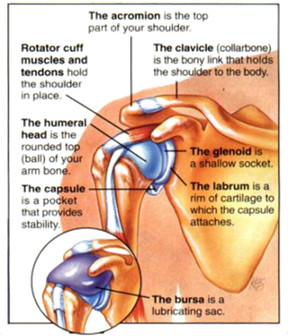 tendon,ligament,capsule,which may produce after treatment soreness. -However,it may take period of time to recover,because,to loosen the tight joints or tissue with conservative method may need some times. *Low back pain and neck pain. *Joint pain including osteoarrthritis of hip.knee.shoulder,elbow. *Prolapsed intervertebral disc or slip disc,spinal stenosis,sciatica pain. *Sport injuries e.g. 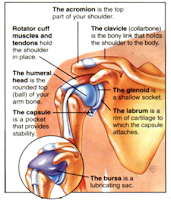 shoulder rotator calf injury,tennis elbow,golfer elbow,wrist injury,sprain ankle,others tendinitis and ligament injuries. It depends On the diagnosis. If the knee injury involve internal derangement e.g. 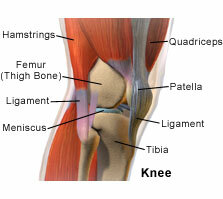 Meniscus tear or cruciate ligament injury, than surgery may be needed. Physiotherapy is the best treatment ever for all kind of diseases. nice post- i had gone through whole post and find it very interesting.